Wild Melbourne is delighted to announce the successful applicants for our Community Conservationists video series, supported by the Norman Wettenhall Foundation. The application process yielded 36 fantastic applications that demonstrated the breadth and diversity of conservation work being done by the Victorian community. As you can imagine, choosing just five stories to film out of so many amazing applications has been no easy task. We considered a number of criteria in order to guide our decision-making, including subject, location, conservation value, funding, profile and, of course, the story itself. The Brisbane Ranges are just west of Melbourne, in box-ironbark country and are home to a very rare marsupial - the brush-tailed phascogale. 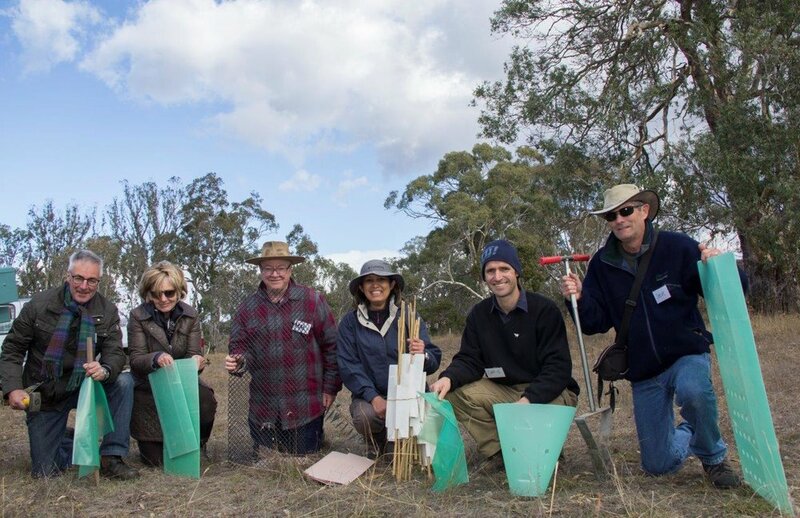 The Friends of Brisbane Ranges have been working in this unique region planting trees, installing nest boxes for phascogales, and conducting ecological monitoring. This has fostered a collaboration with many organisations, including the involvement of a local high school in the building of nest boxes, with the students also learning about conservation in the process. This year, Connecting Country celebrates their ten year anniversary. Over the past decade, they have been working in Central Victoria, taking a landscape-scale approach to conservation over a wide region. Much of their work focuses on the conservation of woodland birds in the region through tree-planting and pest control, culminating in an ambitious aim to restore 7,000 Ha of woodland habitat by 2023. Melbourne's Friends of Bats and Bushcare work to conserve one of the city's most iconic, yet misunderstood, animals - the grey-headed flying fox - mostly through public education. This species is one of the few that can live in an urban environment, typified by the Yarra Bend Park colony, but they are still in decline overall. Friends of Bats and Bushcare hope that by teaching the public about flying foxes and maintaining their urban habitat, Melburnians can continue to share the city with the flying foxes into the future. Project Hindmarsh began with an idea - to reconnect the Big Desert with the Little Desert through corridors on roadsides and private land. Twenty years later, after planting 750,000 trees and 3,000km of direct seeding, Hindmarsh Landcare achieved their aim - creating the Little Desert-Big Desert biolink. Through this, Hindmarsh Landcare has also engaged people from the city with the Wimmera region, with hundreds of volunteers participating in the project over its two decades. Wildlife of the Central Highlands (WOTCH) was formed in 2014 by community members and environmental science students who wanted to document the wildlife in the Toolangi State Forest. Since then, they have been conducting citizen science in the Central Highlands by searching for species such as the Leadbeater's possum and the greater glider. Their work has had some very direct conservation outcomes. Thank you so much to all our applicants and to the Norman Wettenhall Foundation for their continued support of our organisation and the work that we do to engage Victorians with our natural world. Cover photo courtesy of Connecting Country.